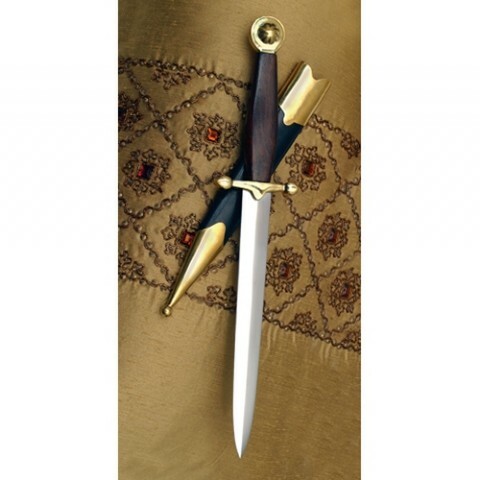 Handy dagger that is just right for the Medieval feast. Daggers and hands all in use at once on the table. Appealing type used by both commoner and noble alike. Perfect for every day carry. Polished hardwood grip and brass parts. 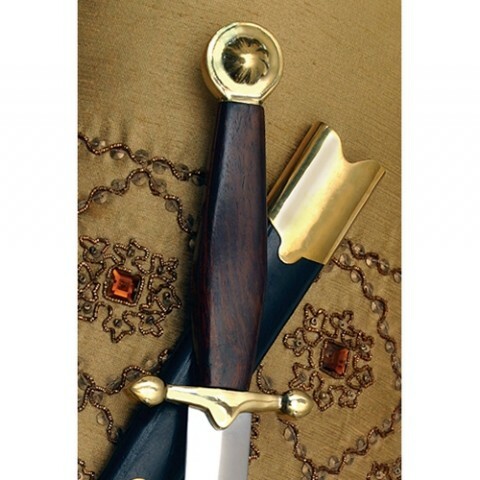 Comes with matching scabbard with brass parts.